The people of Merthyr Tydfil had an extra reason to celebrate St David’s Day this year. March 1st heralded the official opening of REDHOUSE Old Town Hall • Hen Neuadd y Dref. 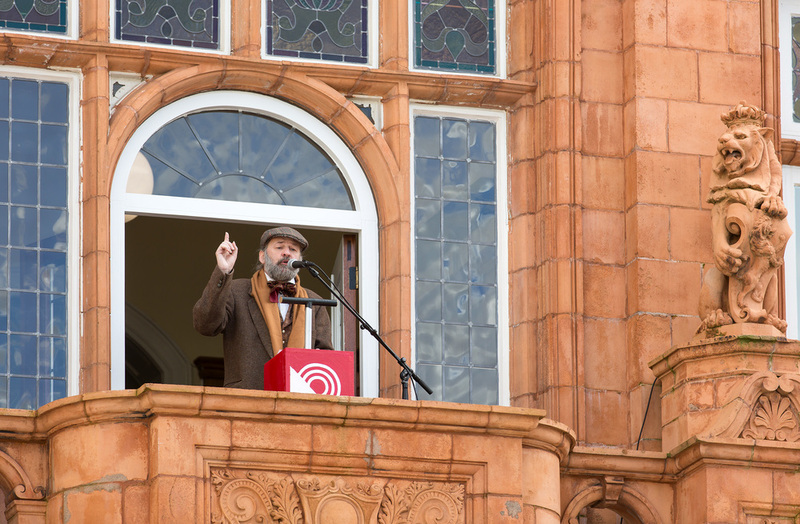 REDHOUSE is a new arts and creative industries centre, based in the in the heart of the famous, Welsh town. The project is seen as a ‘jewel-in-the-crown’ community regeneration project, led by Merthyr Tydfil Housing Association. We're exceptionally proud of our involvement with the REDHOUSE project. We were commissioned to help develop the brand, which included naming and creation of the brand identity. 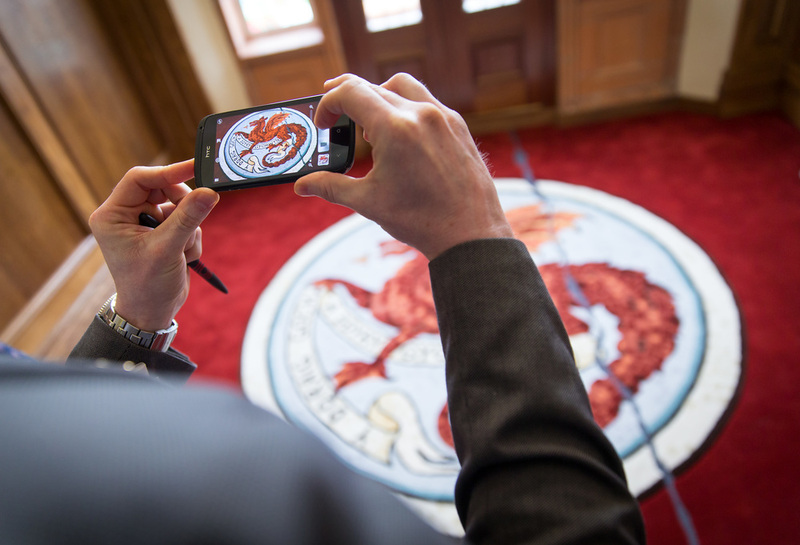 We've since aided with the roll out of a variety of print and online materials in the lead up to the official launch. The Huw David Design team enjoyed a VIP launch on Friday, that we shared with other project partners and key stakeholders involved in the wider regeneration and restoration programme. Highlight to this day was a Royal visit by HRH, The Prince of Wales. Huw was lucky enough to meet The Prince, although Royal protocol sadly doesn't permit selfies (but we did try). On Saturday, we then enjoyed a less formal day with the official launch, titled 'REDHOUSE OPEN HOUSE'. 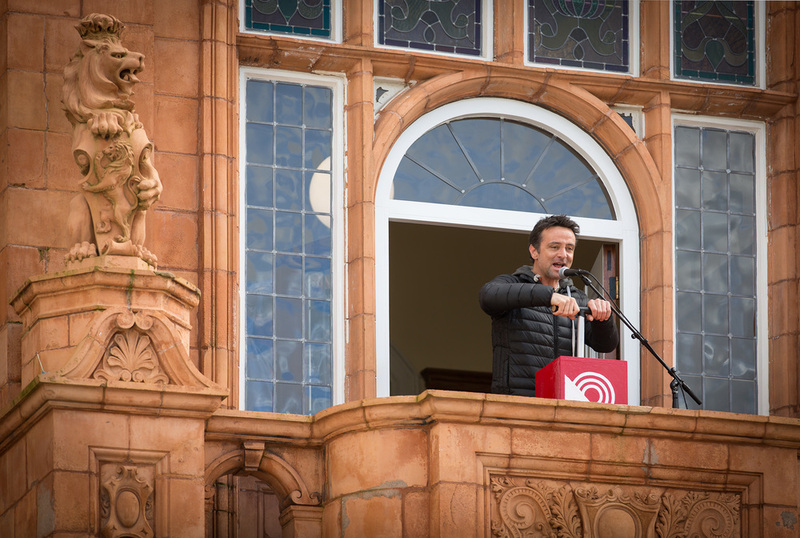 On the stroke of 12 noon, Richard Harrington, star of S4C and BBC Wales hit drama Hinterland/Y Gwyll and proud son of the Gurnos, restarted the Old Town Hall’s iconic clock, which had lain dormant for 30 years. 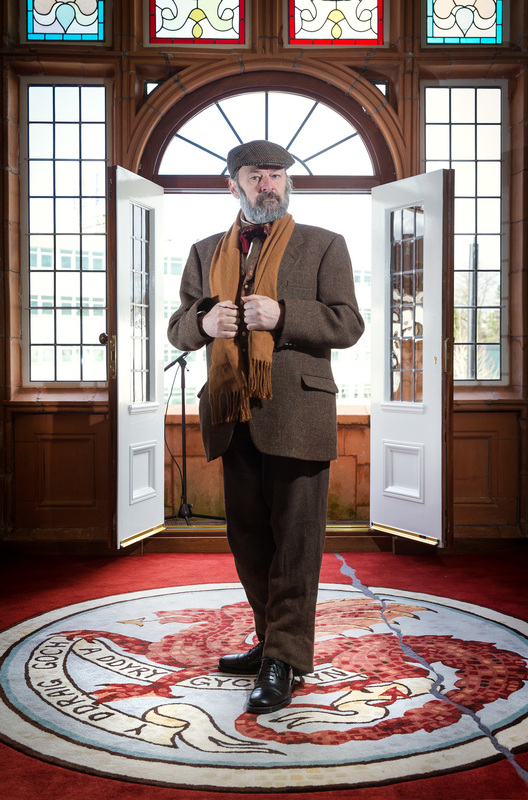 The building was then opened to the public, allowing visitors to explore the building, learning about the fascinating story of the Old Town Hall and its place within Merthyr Tydfil’s rich history. In all, over 2,500 visitors attended the official opening of REDHOUSE, in what proved to be a fantastic day for Merthyr. You can view some of the projects we've completed for REDHOUSE over on our Work section.